Will this cart be used on the golf course? 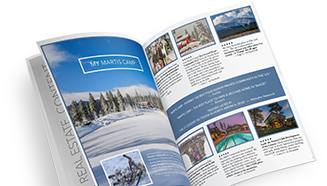 This Martis Camp Low Speed Vehicle Agreement (Association Property Only) (this “Agreement”) is made this by and among the undersigned Member (the “Member”) and the Martis Camp Community Association, a California nonprofit mutual benefit corporation (the “Association”) in connection with the Member’s use of a privately-owned low speed vehicle (a “Low Speed Vehicle”) only on the Association’s private roads within the Martis Camp common interest development (the “Association Property”). (1) Low Speed Vehicle: Conditional Use Right The Association agrees to allow the Member to use a Low Speed Vehicle on only the private roads within the Association Property, subject to the terms herein. Low Speed Vehicles may not be used anywhere else on the Association Property other than the private roads. By executing this Agreement, the Member, the Member’s family and/or guests, if any, who have access to the Low Speed Vehicle (“Authorized Licensee(s)”) agree to fully comply with the terms of this Agreement, the Operating Rule Concerning Operation of Low Speed Vehicles on Martis Camp Community Association Property (the current version of which is attached hereto as Exhibit A and incorporated herein by reference), the Association’s rules and regulations pertaining to vehicles generally (e.g., parking in parking spaces, speed limit, driving on right side of road, etc. ), and with such other rules and regulations established or amended by the Association from time to time, all of which are incorporated herein by reference. The Member’s Low Speed Vehicle must be owned by the Member, or by a person who is part of the Member’s family residing with the Member. All operators of the Low Speed Vehicle must have a valid driver’s license. (2) Registration Prior to any use of the Low Speed Vehicle on Association Property, the Member must register the Low Speed Vehicle with the Association, which shall review the Low Speed Vehicle for compliance with the rules and regulations governing use of Low Speed Vehicles, and the Member must sign this Agreement and comply with all terms and conditions set forth herein, including insurance requirements. The Association reserves the right, at its sole discretion, not to register the Low Speed Vehicle if it does not meet the specifications established by the Association from time to time (“Low Speed Vehicle Specifications”). Among other things, the Low Speed Vehicle and the use of the Low Speed Vehicle must be capable of being registered with the California Department of Motor Vehicles. The Low Speed Vehicle Specifications are subject to change in the Association’s sole discretion. The Association requires the Member to place a sticker or other item on the Low Speed Vehicle to identify the Low Speed Vehicle as an allowed Low Speed Vehicle under this Agreement, or for any other purpose in the Association’s discretion. This Agreement does not allow the use of the Low Speed Vehicle on Club Property: such use is specifically disallowed and prohibited unless the Low Speed Vehicle is approved and registered with the Club under the Club’s specifications. The Association makes no representation or warranty whether the Club will or will not approve the use of any Low Speed Vehicle on Club Property. The Member is encouraged to contact the Club for all such inquiries. (3) Ongoing Maintenance The Member covenants to maintain the Low Speed Vehicle in good working order and to fully comply with the Association’s Low Speed Vehicle Specifications at all times. Further, the Member represents and warrants that the Low Speed Vehicle will not be used on the Association Property if it is not in good working order or in compliance with the Low Speed Vehicle Specifications. The Association shall not have any responsibility for the condition of the Low Speed Vehicle or for the conditions of the Association Property. The Association also shall not have any liability or bear any responsibility for the use of the Low Speed Vehicle whatsoever, including any use outside of the private roads within the Association’s Property. In case of breakdown, the Low Speed Vehicle must be moved out of the way and removed from the Association Property by the Member within a two (2) hour period. In the event Member does not remove the Low Speed Vehicle within said two (2) hour period, the Association shall have the right to relocate the Low Speed Vehicle to the Member’s home or to a storage facility, and to charge the Member for all costs, charges and fees associated with the same. The Association shall have not have any liability for any damages to, or fees or charges related to, the Low Speed Vehicle caused by towing, and the Member hereby agrees to reimburse, indemnify and hold the Association harmless from any claim resulting therefrom. (4) Term This Agreement will become effective on the date hereof and will remain in effect until December 31 of each year. Provided that the Member’s Low Speed Vehicle is in compliance with the Low Speed Vehicle Specifications, this Agreement shall be automatically extended subject to any new terms required by the Association unless the Member provides written notice to the Association of his/her intention not to renew this Agreement before the expiration of the previous term. The Member’s use of the Low Speed Vehicle is a revocable license that the Association may terminate for cause hereunder at any time, including, without limitation, for a Member’s or Authorized Licensee’s violation of the Association’s rules and regulations for Low Speed Vehicles, violation of the Association’s rules and regulations, or breach of this Agreement. (5) Fee As consideration for allowing the Member to utilize a Low Speed Vehicle in, on and about the Association Property, the Association may adopt a reasonable fee to compensate the Association for the administrative cost of overseeing the Low Speed Vehicle program (the “Fee”). There is no current Fee. The Association reserves the right in its sole and absolute discretion to adopt or increase the Fee for subsequent terms. “A GENERAL RELEASE DOES NOT EXTEND TO CLAIMS WHICH THE CREDITOR DOES NOT KNOW OR SUSPECT TO EXIST IN HIS FAVOR AT THE TIME OF EXECUTING THE RELEASE, WHICH IF KNOWN BY HIM, MUST HAVE MATERIALLY AFFECTED HIS SETTLEMENT WITH THE DEBTOR.” THE UNDERSIGNED, BEING AWARE OF THIS CODE SECTION, HEREBY EXPRESSLY WAIVES ANY RIGHTS THAT THE MEMBER MAY HAVE THEREUNDER, AS WELL AS UNDER ANY OTHER STATUTES OR COMMON LAW PRINCIPLES OF SIMILAR EFFECT. The Following Items MUST be present on the Low Speed Vehicle to be approved and registered. Please answer each question. Please attach a photo of current insurance card. This will need to be updated every year. (7) Assumption of Risk The Member acknowledges and understands that there are a number of risks associated with using a Low Speed Vehicle. The Member, all Authorized Licensees and all operators or passengers in the Low Speed Vehicle assume and accept all risks associated with or related to (a) using the Association Property, (b) the use of a Low Speed Vehicle in, on or about the Association Property or anywhere within the Martis Camp common interest development by the Member, any Authorized Licensee, or any operator or passenger of the Low Speed Vehicle; and/or (c) any loss, injury or damage resulting therefrom. (8) Indemnification The Member agrees to, and shall, indemnify, defend (with counsel selected at the sole discretion of the Released Parties), protect and hold harmless the Released Parties, from and against all Claims, including, without limitation, reasonable attorneys’ fees and costs, directly or indirectly arising out of or attributable to, in whole or in part, any Member’s, Authorized Licensee’s, any operator’s, any passenger’s, or other person’s use of the Low Speed Vehicle on or about the Association Property or within the Martis Camp common interest development. This indemnity shall be broadly interpreted and applied, to the maximum extent allowed by law. (9) Insurance The Member shall, at the Member’s expense, obtain and continuously keep in force Automobile Liability Insurance insuring the Member, and naming the Released Parties as additional insured's, against any liability arising out of, or attributable to, any use of the Low Speed Vehicle on or about the Association Property in the amounts of not less than one hundred thousand dollars ($100,000.00) for each claim with respect to any one death or bodily injury, three hundred thousand dollars ($300,000.00) with respect to any one occurrence, and fifty thousand dollars ($50,000.00) for all claims for property damage with respect to any one occurrence and a combined single limit of three hundred thousand dollars ($300,000.00) which includes bodily injury and property damage protection. The limits of said insurance shall not, however, limit the liability of the Member hereunder. Before receiving the use right herein, the Member shall deliver to the Association a copy of such policy of insurance or certificate evidencing the existence and amounts of such insurance, satisfactory to the Association. The Member shall update the Association with any modifications to such insurance policy on an annual basis. (10) Acceptance The Member acknowledges that the Association is relying on this Agreement as critical consideration for and as a condition to the Member’s use of his/her Low Speed Vehicle on or about the Association Property, and/or such use by any Authorized Licensee. (11) Membership in Club This Agreement and authorization for use of the Low Speed Vehicle hereunder is subject to the Member being and remaining a “member in good standing” of the Association. (12) Membership in Club This Agreement shall be governed by the laws of the State of California. (13) Arbitration/Attorneys’ Fees Any controversy or claim arising out of or relating to this Agreement, or the breach hereof, shall be settled by arbitration in accordance with the Rules of the American Arbitration Association, and judgment upon the award rendered by the arbitrator(s) may be entered in any Court having jurisdiction there over. In the event of any arbitration pursuant to the terms hereof, or any litigation to enforce the arbitration required hereby, the prevailing party shall be entitled to reasonable attorneys’ fees and costs (including post-judgment attorneys’ fees and costs). (14) Counterparts This Agreement may be executed in any number of counterparts with the same effect as if all of the parties had signed the same document. All counterparts shall be construed together and shall constitute one agreement. IN WITNESS WHEREOF, the Association and the Member have executed this Agreement as of the date set forth below.